1. Begin with an Interactive layout: Itemize your key points and bold them. Do not use downloadable software because they are dull and shared by other people so it could be common. Don’t be crazy about it but use your creativity. If you are modest, you can make it a little bit colored. 2. Don’t use Left Align but justify the Texts: Some people used to read justified text and due to this, your resume will be easy to read and follow for them. This will give them interest in going through your resume and digest them very well. 3. A common Font is Preferable: Some of the best fonts that are good for your resume are Times New Roman, Verdana, Arial. This is not the time to be carrying out all manner of experiments on the font to use. Some of the PC does not have enough fonts installed on them therefore the file or document will not be shown correctly to the people and might even give them another interpretation when you make use of decorative fonts instead. If you want your employer to take you serious, and then avoid using cutesy graphics like teddy bears and candy canes because this is not good or suitable for business correspondence. If you do this, I assured you that your resume will end up in recycling bin. 5. Back your Resume with Cover Letter: Cover letter is the correct and polite behavior for the job seekers. Always beck up your resume with cover letter. Let your cover letter be directly to the position you are applying for. Common or general cover letter cannot work in your favor or to your advantage. Make sure you address your cover letter to your employer or to somebody there in the company if possible to the manager in charge of hiring. 6. Go over Your Resume Word-by-Word: Check your spelling and grammatical error when you finish typing it, even typos is not left out. Check the grammar very well because you can not rely on computer 100% for this function. 7. Year of your Qualification and Your Qualification must be Included: Some resume scanning system does not reckon with the degrees you obtain but the year you obtain it. Make sure you write the year you qualified along with your qualification so that you will not be left out. 8. Remove All E-mails links and Website Addresses in Your Cover Letter and Resume: Highlight the link by right clicking your mouse and scroll down to where you see “delete” or “remove” to perfect it. 9. Consistency: Be consistent in using the Microsoft Word and Microsoft Excel because despite that they are both correct, they are not consistent when they are used together. For instance, don’t write your date as 4/20/2010 and write another one as 6/2010. Consistency matters in resume writing. Take note! 10. Take Note of Punctuation and Capitalization: If you don’t understand this rule of punctuation and capitalization, then try to use reference manual. Don’t mingle up sentences without observing comma, semicolon, and so on and also when to use capital or small letter. This also beautifies your resume. If you mix up everything, no employer will even bother to go through your resume. It will end up in dust bin. Taking note of the above ten steps will make you look professional in your resume writing. You won’t even stay long outside before given you a job. That is, this will quickly graduate you from applicant level or job seeker to your dreamed position in your job. 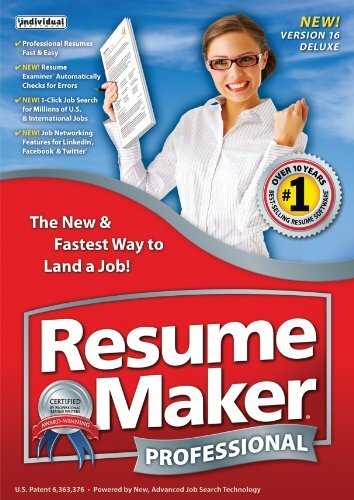 By Alex Fendy Miller – ResumesPlanet – Resumes professional writing service. ← Is Clutter Getting in the Way of Your Retirement?